This has been a busy year for hearing health, full of new developments, fascinating research, and inspiring stories of people conquering hearing loss to achieve great things. Just in case you missed it, here’s a review of the year’s 15 biggest stories. This post by New Republic was one of many articles released in 2016 emphasizing the prominence of hearing loss among veterans. Hearing loss currently represents the number one disability for veterans (topping even PTSD). In fact, the Department of Veteran Affairs states that 60 percent of those returning home from Iraq and Afghanistan (around 600,000) have irreparable hearing loss or tinnitus. Now that awareness has been raised, the military is working on developing helmets that minimize loud blasts while amplifying surrounding sound. We’re privileged to witness a number of stories each year about people overcoming hearing loss to accomplish incredible things. But on occasion one comes along that reminds us of what is possible with the right mindset and determination. Caroline Aufgebauer, a high school senior, worked around the obstacle of hearing loss to learn not one, not two, but three different languages. She speaks English, Spanish, and Latin (earning special recognition for her performance on the national Spanish exam) and has a basic familiarity with German. Which, by the way, makes her trilingual despite an ailment that makes speech comprehension quite difficult. Shari Eberts is a hearing health advocate that has done great things for the hearing loss community by growing awareness of the daily issues facing individuals with hearing loss. 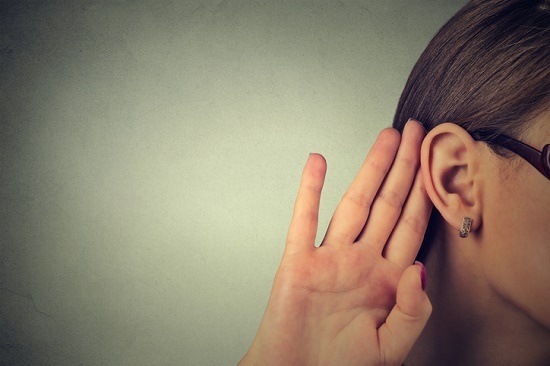 In one of her most popular articles on her website Living With Hearing Loss, Eberts identifies five things she wishes everyone understood about hearing loss. This is one of several articles cautioning about the hazards of earbud use and the expanding number of teens with hearing loss. It’s estimated that 30 percent of teens have hearing injury as a consequence of unsafe listening practices, but that most teens are not hearing the message. This story is a good reminder for musicians and concert-attendees to safeguard their hearing during live shows. AC/DC had to delay its tour in the US as a consequence of frontman Brian Johnson’s hearing condition. Doctors instructed Johnson to stop touring right away or risk total hearing loss. In response to the growing problem of developing hearing loss and tinnitus at concerts, Pearl Jam provided earplugs to fans at its concerts in an action that hopefully catches on with other bands. We see several of these videos every year, video clips of a child hearing for the first time with the use of hearing aids or cochlear implants. But this specific video was the most watched of 2016. See for yourself and try not to smile while you’re watching. One of the most effective ways to raise awareness of hearing loss and eliminate the stigma of hearing aids is to have a prominent public figure speak on the subject. In this post, FUBU founder, Shark Tank star, investor, and best-selling author John Daymond discusses how he overcame hearing loss and how high-tech hearing aids have changed his life. Starbucks has opened a brand new store dedicated to employing deaf and hard-of-hearing individuals, as a key part of the company’s objective to expand opportunities for marginalized groups. 10 of the store’s 13 employees are hard-of-hearing or deaf. Staff members communicate primarily with sign-language, and customers without hearing loss can record their orders on cards. This is a cool article reminding us of how rapidly technology progresses. Dr. Kourosh Parham, a UConn physician-scientist, has developed the first blood test that can identify the inner ear proteins linked with inner ear disorders like hearing loss and vertigo. Perhaps the early diagnosis of hearing loss will soon be a routine part of the annual physical exam. This inspiring story is about how photographer Kate Disher-Quill finally came to accept her hearing loss and embrace and love her hearing aids. Kate’s project, Right Hear, Right Now, is designed to empower people to accept and embrace their differences. It’s something she wishes she had access to when she was younger, something that could have inspired her to accept her own hearing loss sooner than she did. The investigation for the cure for tinnitus continued in 2016, with several encouraging developments. Tinnitus is tough to diagnose and treat, and the best treatments currently available either conceal the sound or instruct the patient on how to cope with the sound. But now scientists at the Karolinska Institutet in Sweden have discovered the first gene that may be able to prevent tinnitus. As we learn more and more how the brain processes and interprets sound and speech, we can start developing better hearing aids and better programs to help those with hearing loss to heighten speech recognition. Stay tuned in 2017 for further developments in the crucial area of speech comprehension. Hidden hearing loss can be present even in young people who can pass a regular hearing test. Research is ongoing that can enhance the precision of hearing testing and uncover hearing damage in young people, with consequences including more effective hearing protection, better workplace noise standards, and highly targeted medical treatments. And finally, here are eight great reasons to get a hearing test, published by Better Hearing Institute. There’s no better way to commence the new year than by taking charge of your hearing health and experiencing all of the rewards of better hearing. What did we miss? What were your favorite stories of 2016?